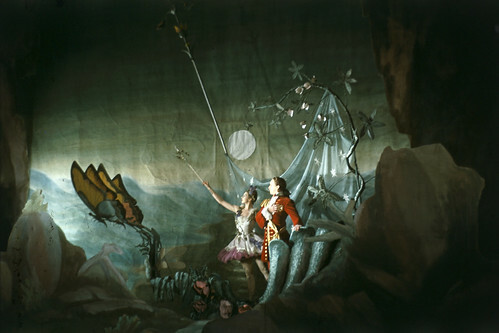 English designer Oliver Messel (1905–78) was one of the most celebrated theatre designers of the mid-20th century. 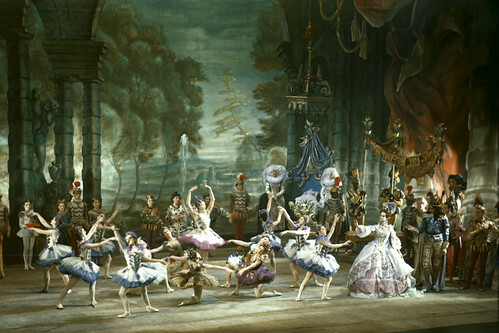 His designs for the landmark production by Sadler’s Wells Ballet (now The Royal Ballet) of The Sleeping Beauty (1946) are considered his masterpiece, and were revived for the Company’s 2006 production. 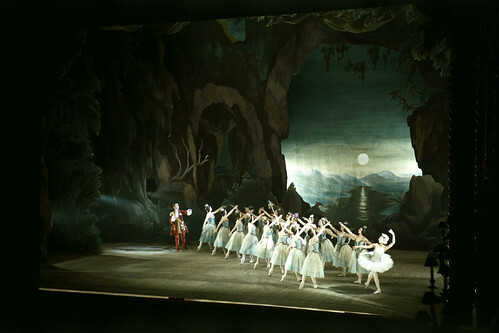 His other designs for The Royal Ballet included Ninette de Valois’ The Rake’s Progress (1935) and Frederick Ashton’s Homage to The Queen (1953). 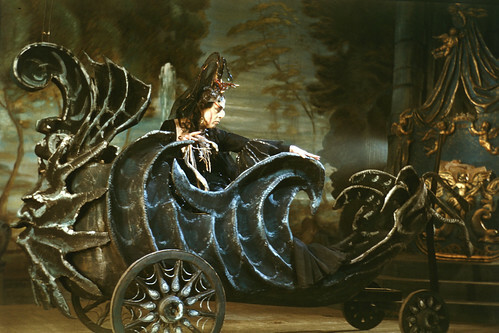 He was a prolific designer in theatre and opera, and for the Covent Garden Opera Company (now The Royal Opera) created designs for The Magic Flute (Malcolm Baker-Smith, 1947), The Queen of Spades (Michael Benthall, 1950) and Samson (Herbert Graf, 1958). 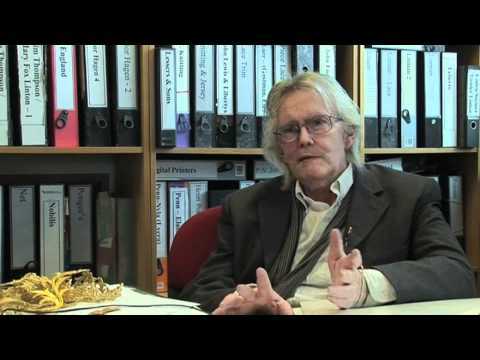 Messel was born in Cuckfield and studied at Eton and the Slade School of Fine Art. He began his career as a portrait painter. 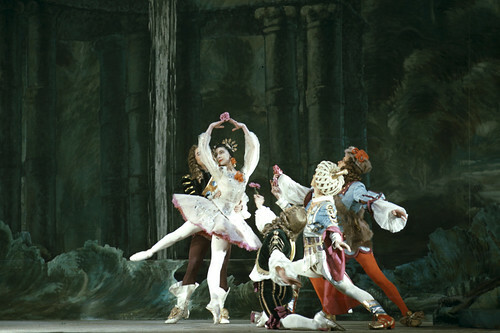 His first theatre commission was creating masks for Leonid Massine’s Zéphire et Flore (1925) for the Ballets Russes’ London performances. 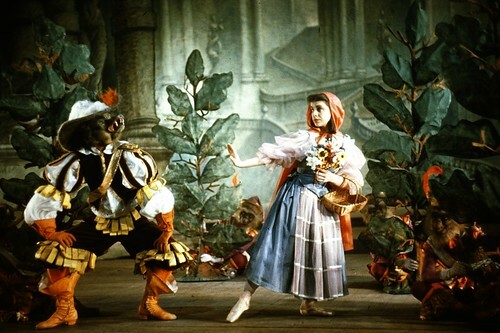 The following year he received his first commission from producer Charles B. Cochrane, with whom he would continue to work for a number of years. 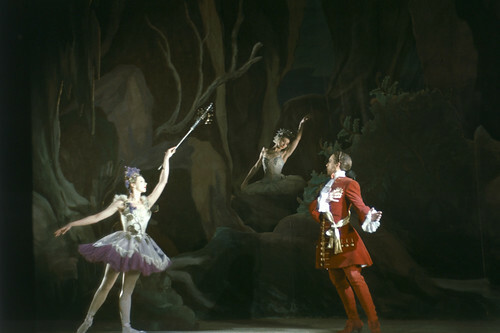 He designed his first full-length ballet in 1937, for David Lichine’s Francesca da Rimini. 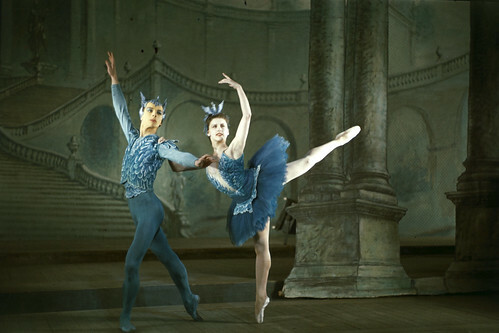 Throughout the following decades he won renown for his opulent and imaginative sets for ballet, opera and theatre. 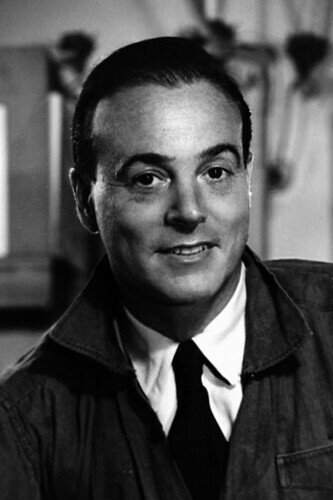 After World War II, his career continued in Britain and the USA, where he also designed sets for numerous Hollywood films, including The Thief of Baghdad (1940) and Suddenly, Last Summer (1959).